Scotland’s referendum on 18 September is a choice between union and significance or independence and irrelevance. 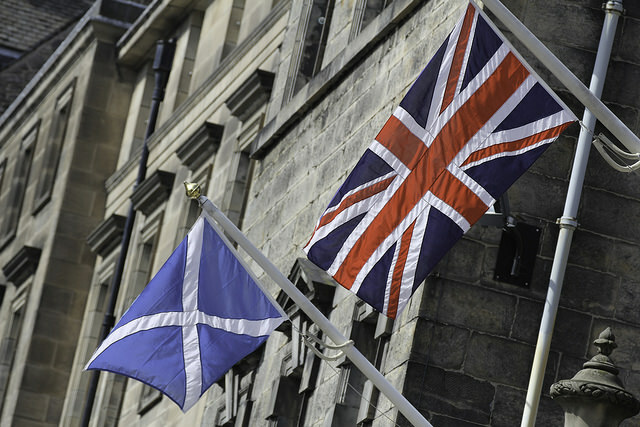 Voters will decide whether to stay in the United Kingdom or to opt for full independence. The result will be unpleasant for Britain regardless of the vote. An opinion poll on 4 September  put the pro-Union ‘No’ vote at 39% and the pro-independence ‘Yes’ vote at 38%, with 23% undecided. Over the last six weeks all the political momentum has been towards the independence camp. The large undecided vote reportedly reflects Scots Labour voters mulling their options while an increasingly panicked ‘No’ campaign makes concessions to hand tax and spending powers to the Scottish Government if they stay in the Union. The referendum asks for a simple ‘yes/no’ answer to the question ‘Should Scotland be an independent country?’ A ‘yes’ vote, no matter how small the margin, puts Scotland irrevocably on track to full independence by March 2016. A narrow ‘no’ vote to stay with the Union is likely to be used by pro-independence campaigners to justify a continued push for full independence, as the Scottish National Party (SNP) has done through prior devolution votes  in 1979 and 1997. A large ‘no’ vote, say more than 55%, is not likely given polling trends. So the best pro-Unionists might hope for is grumpy Scots, like the Canadian Québécois, hankering for independence and with expanded powers to block London’s attempts to run a ‘United’ Kingdom. However Scotland votes, a British general election, to be held no later than 7 May 2015 will give the departing or reluctantly-staying Scots one more chance to thumb their nose at Westminster. Should the Scots vote for independence, Alex Salmond, the First Minister of Scotland and leader of the SNP, would negotiate the terms of separation with the UK. That will include deciding how to apportion ownership of the UK’s national debt and tax revenues. The British armed forces would be split, with the SNP arguing that Scots Regiments in the Army, along with a number of ships and aircraft would become the basis of a Scottish Defence Force . An independent Scotland would be anti-nuclear so the Trident submarines based at Faslane would need to relocate, presumably south. Scotland would establish its own intelligence apparatus, and seek membership of NATO and the European Union. None of those outcomes will be easy for Salmond to deliver, notwithstanding the slick media campaign  the SNP has put into describing the future of an independent Scotland. The UK Ministry of Defence has made it clear  that London is unlikely to agree to a simple transfer of regiments, ships and aircraft as set out in the SNP White Paper  on Scotland after independence. That document claimed  that Scottish defence spending would amount to 2.5 billion pounds to sustain a military of around 15,000 regulars and 5,000 reserves. But that’s well above what London will willingly transfer to an independent Scottish military. It also seems unlikely  that NATO and the EU will welcome yet another bit-player member. The Spanish, for one, don’t want to give comfort to separatist groups that propose to split from existing national structures. And Scotland’s determination to pursue an anti-nuclear path will give pause to the United States, which won’t be comfortable seeing NATO’s security guarantees extended to more countries unwilling to pull their weight by supporting extended nuclear deterrence. One can also forget the idea that an anti-nuclear Scotland will be inducted into an expanded Five Eyes intelligence community. After Edward Snowden? No chance. At best an independent Scottish military will be like a feisty small peacekeeper: helpful around the edges of European security, wonderful on parade, pointless in most other scenarios. The key strategic point about an independent Scotland is not about what the Scots will do but how it will weaken the UK. London will sustain something less than a 10 % reduction of its own military capability—but that’s a serious decrement in a force already on the edge of viability. The future of the British nuclear deterrent will come under serious question. At precisely the moment the world needs a coherent Western response to the Islamic State, London will become reticent and introspective. None of that’s good news for the handful of countries, Australia first among them, who put their soldiers into harm’s way for the good of global order. If the UK fades even further on the international stage, Australia will stand out more prominently as a country prepared to use military force for international good. Australia will rise a few more places on Washington’s check-list of indispensable allies. The Scots’ fantasy of playing dress-up—like extras in Brave Heart (thanks, Mel Gibson)—will translate into more serious international security tasks for Australia. Is it really Scotland’s fate to be a kilted Euro-peacekeeper? Time to get serious, Jocks! Peter Jennings  is executive director of ASPI. Image courtesy of Flickr user Lawrence OP .